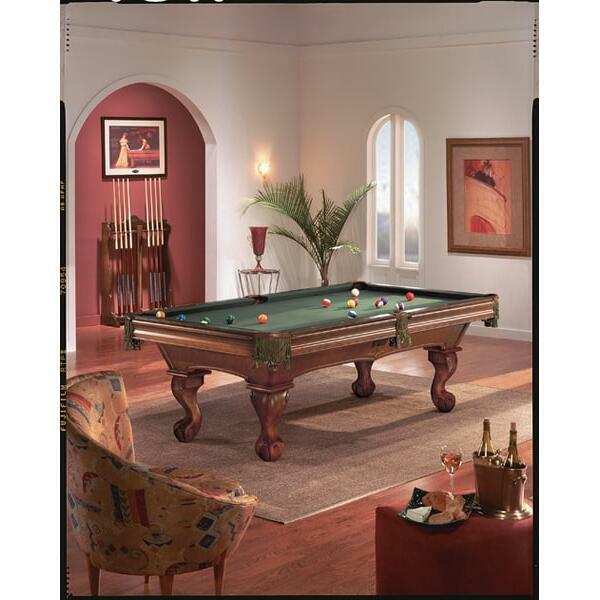 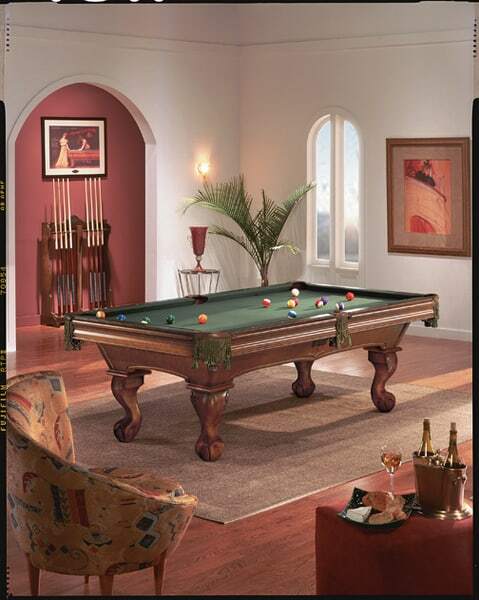 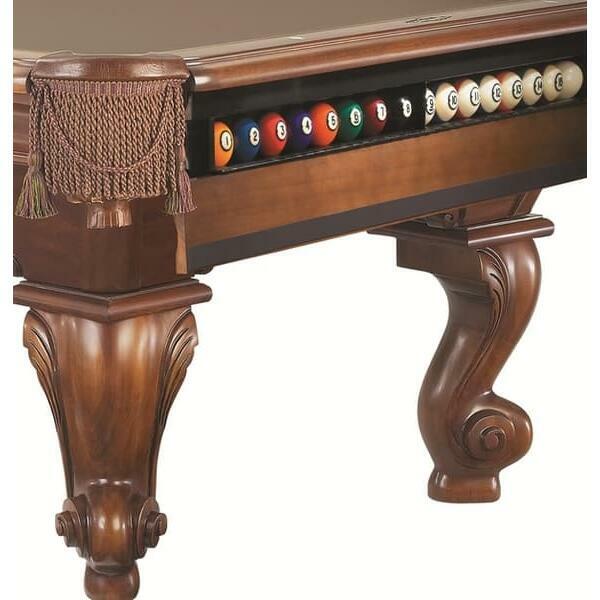 Bring home fabulous style with the Camden III Pool Table from Brunswick Billiards. 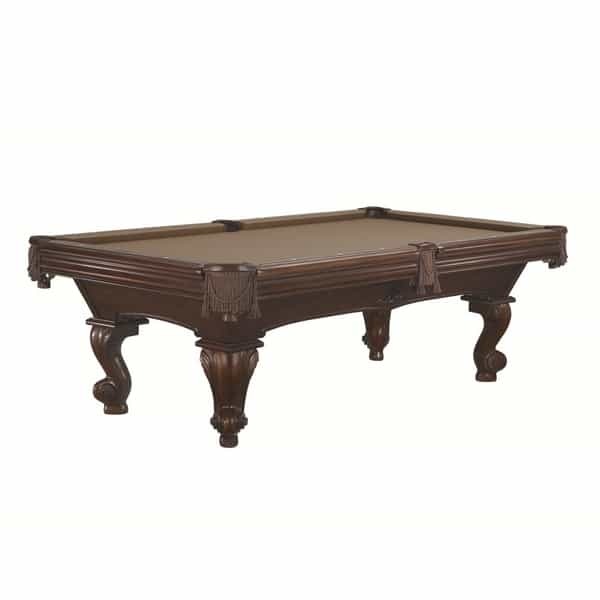 Traditional designs are the focus of this table, which offers several finish options such as Old World Cherry, Espresso and Chestnut. 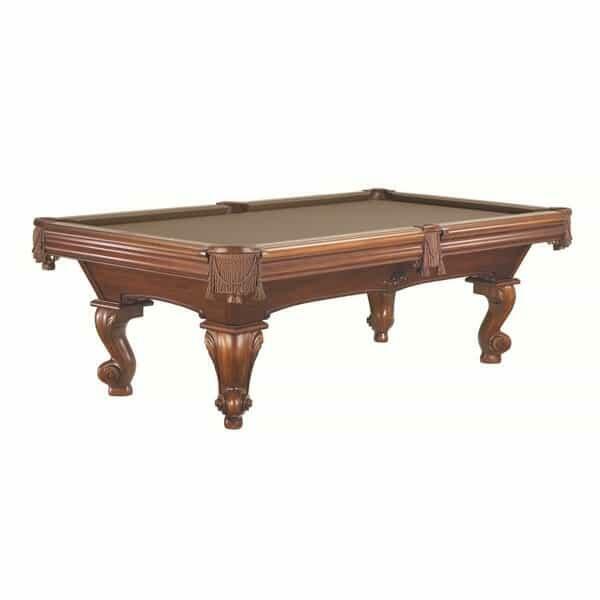 And unlike other pool tables where your options are limited, the Camden III allows you to choose more than just your finish, with side carvings, Ram's Head feet, Queen Anne legs and Ball and Claw feet available for a personal touch. 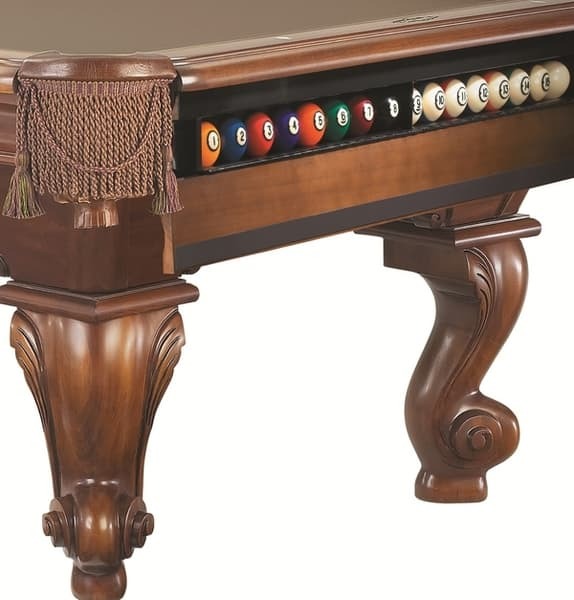 In addition, the hidden ball storage area behind the foot-end apron is a patented feature exclusive to the Camden III only.